Sauté onion and celery in lard. Add broth, apples, raisins, and spices. Let simmer until apples are soft. 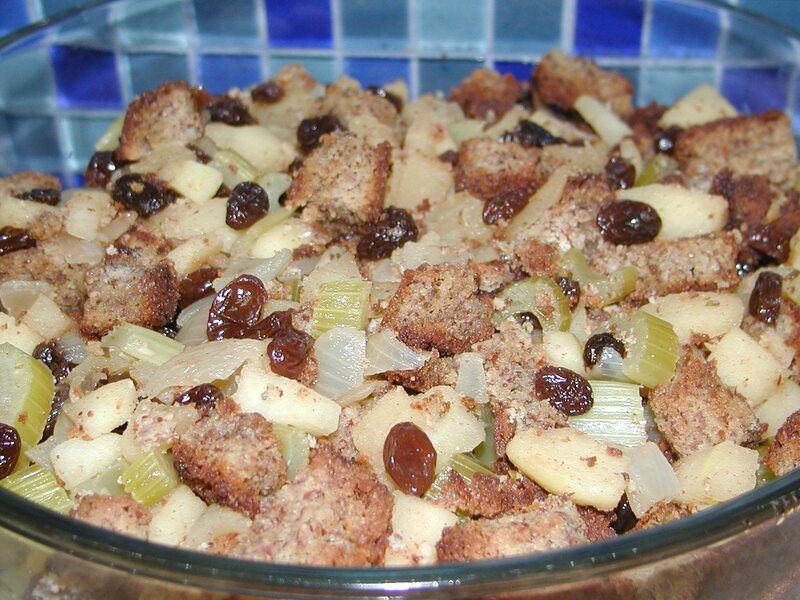 Mix in croutons and transfer to a casserole dish. Bake at 350 degrees for about 20 minutes or until hot. To make croutons, cube one loaf of cooled seasoned bread. Spread on cookie sheet. Bake at 350 degrees for about 15 minutes.